Once again, Thomas Markle is inserting himself into royal family business. In his second sit-down with The Sun, Meghan Markle's estranged dad claims things aren’t as perfect for the newly minted Duchess of Sussex as they seem. In fact, Thomas claims that he can tell Meghan is racked with anxiety and fear. Of course, most people are taking everything Thomas says with a grain of salt these days. Between staging his own paparazzi photos just ahead of the royal wedding to unauthorized (and critical) interviews, Meghan’s dad hasn’t done much to curry favor with fans of the royal family. Thomas also admits that he has had no recent contact with his daughter. This could make it easy to construe his repeated contact with the press as more of a cry for attention than a legitimate concern. “Since the [first] interview, the phone number that I call doesn’t work anymore. The, I guess, liaison with the royal family never answers back, and there’s no address I can write to, so I have no way of contacting my daughter,” he said. Still, Thomas insists that he simply wants to tell his daughter that he loves her, he misses her and he’s sorry for anything he’s done wrong. According to Thomas, he fears he doesn't have much longer to live and wants to make amends while he still has the chance. Kensington Palace hasn’t yet commented on Thomas’ latest on-camera interview, and it’s possible that the Palace won’t address it at all. Happily, Meghan has plenty of positive things to keep her mind distracted from the near-constant barrage of drama from her dad. 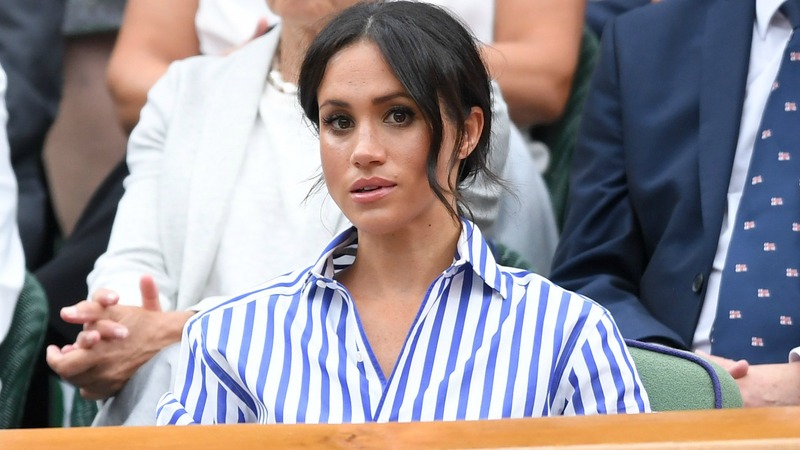 On Saturday, she enjoyed her first solo outing with sister-in-law Kate Middleton when the two attended the Ladies’ Singles Final at the Wimbledon Championships. And although Serena Williams lost, the duchesses made the most of their afternoon together. Harper’s Bazaar compared the pair’s camaraderie to that of fellow royals Princess Diana and Sarah, Duchess of York, who embraced the tradition of attending Wimbledon together.